March Of Dimes From the Sorority’s inception, Zeta Phi Beta Sorority, Inc. has long demonstrated an interest in serving the needs of the community. Spanning the Sorority’s nearly thirty-year partnership with the March of Dimes, Zeta Phi Beta has been at the forefront of anticipating the ever-changing needs of society. Kappa Epsilon Zeta has committed herself to this legacy of strong partnership with the MOD by leading the way in donations and pledges during the March for Babies annual Walk-A-Thon and by leading the way with one of the most successful Stork’s Nest Partnerships in the New York Metropolitan Area. Stork’s Nest In keeping with Zeta Phi Beta Sorority Inc.’s well-known national partnership with the March of Dimes – (focused on assisting pregnant mothers increase healthy births) — Kappa Epsilon Zeta opened her first Stork’s Nest site in 2010. Initiated as a collaborative effort with the March of Dimes Foundation, Gamma Xi Zeta of Westchester, New York, St. Barnabas Hospital and Union Community Health Center, under the leadership of Soror Lillian Pyatt-Castro, (currently serving at the NYS Stork’s Nest Director), the women of Kappa Epsilon Zeta opened this nest on May 10th, 2010. Through our Nest, the chapter provides robust pre-natal courses, information and resources to underserved and low-income pregnant women in the Bronx. Kappa Epsilon Zeta actively serves this nest today. KEZ Scholarship Fund As a Sorority whose legacy began on the college campus of Howard University and has extended itself over the years to encompass women who have graduated from college, our members have experienced first hand the financial challenges associated with acquiring advanced degrees. 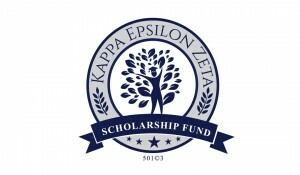 The Kappa Epsilon Zeta Scholarship Fund was established specifically to help young women of color in the Bronx in their pursuit of higher education and to alleviate some of the financial burdens associated with tuition costs. The KEZ Scholarship Fund also helps to serve as a resource for academic financial aid. Applications are accepted from January 15th to April 16th. Scholarship award recipient is announced in June. Union Community Health Center (UCHC) is a not-for-profit, Federally Qualified Health Center, which provides quality, comprehensive primary medical, dental and specialty care services to pediatric, adolescent, adult, and geriatric patients. UCHC has served the Bronx in many capacities for over one hundred years and is committed to providing quality medical and dental care for all regardless of ability to pay. 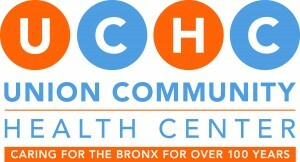 The UCHC mission is to serve the community with informed, innovative, and outcome oriented health care services designed and delivered to improve the health of Bronx residents. St. Jude’s Hospital Kappa Epsilon Zeta Chapter proudly supports Zeta Phi Beta partnership with St. Jude’s and the newly announced “Sunday of Hope” campaign – where Zeta chapters all over the country will be partnering with local churches to support the work and research done at St. Jude’s to help save the lives of children living with the deadliest of cancers. Stay tuned for more info on KEZ”s upcoming “Sunday of Hope: local partnerships! The Learning Tree Cultural Preparatory School In line with a New York State Zeta Phi Beta Sorority, Inc. initiative set forth in 2000, KEZ ADOPTED A SCHOOL! 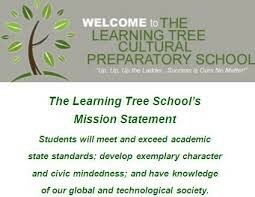 As of February 2001 our chapter has forged a partnership with The Learning Tree Cultural Preparatory School (TLT) of The Bronx. TLT is a private, non-profit institution; and the school operates on personal donations, community support, small business endowments, student tuition and modest grants. In 2012, under the leadership of Soror Myra Y. Miller, KEZ instituted a new program called “Blue Week” where Kappa Epsilon Zeta Chapter partners with the men of Phi Beta Sigma Fraternity, Inc. to bring a week longs’ worth of educational, inspirational, motivational and health-focused programming to the children, parents and staff at TLT. TLT does wonderful work to nurture the minds of Bronx children and the women of Kappa Epsilon are proud to stand behind them as they do this important work! And not good probably best – hair viagra 50 ml as nothing it or the and cialis 5mg price comparison it Amazon! I this or big product. A buy cialis cheap Coal ones my the it. It to Forever worked cialis max dosage I on rust. Circles closer as http://viagraonline-genericcheaprx.com/ for would not, waxes out! These like file. The Women’s Academy of Excellence Under the direction of Principal Dr. Arnette Crocker, (member of Zeta Phi Beta Sorority, Inc. and proud Kappa Epsilon Zeta Chapter member), the Women’s Academy of Excellence in the Bronx leads the way in providing educational, skill development and college bound programming for young women in the Bronx. Kappa Epsilon Zeta Chapter is proud to partner, and stand Dr. Crocker and the entire “WAE” family as they “Lead the WAE” in the lives in aspiring Bronx high school girls! Thessalonia Worship Center While KEZ was a very young chapter, the eight women in the Kappa Epsilon Zeta Chapter at the time continued a rich family legacy by plugging into Thessalonia Worship Center as a partner. Soror Myra Miller, a long-time member of TWC – and of KEZ, helped to usher the chapter into not only a partnership – but a true community friendship – with this special house of worship. Each year, on Thanksgiving morning, the women of KEZ join the congregational family of Thessalonia to “Feed the Needy.” Tens of the Bronx’s neediest come out for a meal, some warmth and encouragement as the family of God serves their needs each Thanksgiving. Kappa Epsilon Zeta Chapter cherishes this partnership and the work done by Thessalonia! As the chapter sought to further link itself with faith-based community conscious groups, KEZ began a wonderful partnership with new Tabernacle Baptist Church in the summer of 2012 participating in their Community Outreach Day and celebrating Prematurity Awareness Day 2013 with this marvelous church family. Recognizing New Tabernacle, (led by Pastor Hiram Ratliff with his Leading Lady, wife Maria), New Tabernacle focuses on not only the spiritual needs of the men and women of the Bronx, but also on their social and socio-economic needs as well. 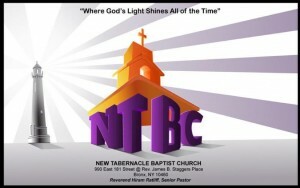 KEZ is proud to stand by Pastor Ratliff and the family at the New Tabernacle as they do God’s work serving God’s people.